Dental Insurance: Do You Know What You’re Covered For? Saeid Badie, DDS Blog Dental Insurance: Do You Know What You’re Covered For? Dental insurance is a basic necessity, but for those who don’t have an employer-sponsored dental plan, finding the right coverage can be a struggle. There are dozens of providers with hundreds of plans to choose from, each with its own limits and definitions. How can you know that your coverage is right for you? Here’s how you can make sure your dental insurance plan meets your oral healthcare needs. 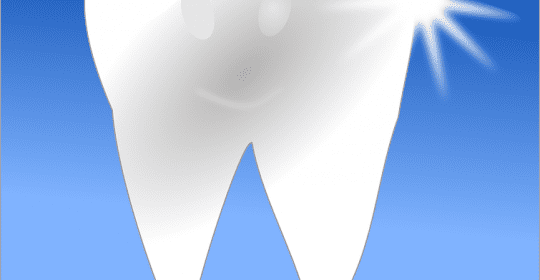 A lot of dental plans will have tiers like Basic, Comprehensive Basic, and Major Services. And although there tend to be several commonalities in what’s included in each tier across providers, there are also some differences. Some plans may only cover major procedures like periodontal disease treatments after you’ve been enrolled in the plan for a year, while others may limit your recall frequency to one year. That’s why you’ll want to read through the terms and conditions of each plan in detail and compare the plans so you know exactly what is covered and when. Freedom of Choice, PPO or HMO? Depending on what kind of plan you have, you might not be able to choose which Tucson dentist you want to see. HMO plans limit the dentists you can see to a specific network of dentists approved by your insurance provider. If you see a dentist outside that network, you’ll have to pay the entire bill out of pocket (unless it’s for emergency work). A PPO plan means you can visit specialists like oral surgeons without needing a referral, and you can seek treatment from providers outside your coverage network. However, doing so means your treatments will be covered at a lower rate. PPO plans tend to be more expensive than HMOs, but they also give you more freedom. Freedom of choice dental insurance offers the most flexibility with respect to finding a dentist. With a freedom of choice plan, you can visit any licensed dentist without needing a referral from a physician and your visit will be covered as per the terms of your policy. Freedom of choice plans, though, are typically the most expensive form of dental insurance available. Payment Terms: How Much Coverage Do You Have? Dental insurance plans have complicated financial terms that you’ll want to compare before settling on a plan. Each plan has its own unique deductible, different premiums, and unique co-payments, and your own individual needs will dictate which plan is right for you. If you’re a twenty-something healthy patient with no major dental issues, you might be able to get away with just a basic plan with low premiums and a high deductible. But older patients and patients with a history of dental issues may want to spend some extra money every month for more coverage. When evaluating plans, be sure to consider the deductible, the premiums, the maximums, and the coverage percentage offered.